One of the most considered purposes of a WordPress site, is how to earn money from it. This does not only require the unique contents, extraordinary marketing plans and services, but also the fast and furious website to run it all. Thus, you might need the most suitable optimization for your site. There are some WordPress site optimization plugins might help you do that. Not only boosting up your site in speed and performance, they can also provide unique features for SEO and conversion rate. Today I will show you some incredible optimization plugins for your WordPress site. Give your site a push and yourself a bucket of money! The name itself tells enough. The main feature of WP-Optimize is automatically clean your WordPress site and compress your elements. Thus, no more trash, no more excessive. Your site will be at its perfect size, balanced between quality and performance. Besides, it provides some additional features. Firstly, it can compact and de-fragment MySQL tables in no time. Also, you can control which optimization level you want to carry out. There is an automatic schedule to clean up your site and pre-optimize backup via UpdraftPlus, either. Besides, you will be able to see database statistics and potential savings when having WP-Optimize cleaning your site. According to the research, images and pictures take 66% elements of a WordPress site. Therefore, it would be awesome if we can reduce the size of them but still have decent image quality. Luckily, Smush can do it. Smush is a powerful plugin that can resize, optimize and compress all of your images to reduce your site’s size and loading time. People have benchmarked and tested Smush for speed and quality. Indeed, it has seized the 1st place, proven crowd favorite image optimization plugin for WordPress. Smush comes with image resizing and compression, which scale down your image to match your desire. Or it can cut off the unnecessary parts to keep the image size intact. You might not really how slow your site loads with large images. However, Smush gets you covered. In fact, it smushes every single one of your images and optimized to its most balanced. Next in our WordPress Site Optimization Plugins list, Autoptimize is coming up. Autoptimize can make optimization become easier than ever. It’s capable of aggregating, minifying and caching scripts and styles. Besides, Autoptimize can inject CSS into the beginning of a page by default, move and defer scripts to the footer. Especially, the HTML code can be minified either by Autoptimize itself. This plugin would make your site become incredibly lightweight and fast loading. Also, Autotomize provides some advanced options such as extensive API and HTTP/2 compatible. In fact, W3 Total Cache is considered to be the best caching WordPress plugins. Literally, it has over 1+ million active installs on WordPress.org and has been updating very regularly. What does it do? It improves website performance by reducing downloading times via features like content delivery network (CDN for short). Therefore, W3 Total Cache can boost your site up in search engine result page rankings, especially for mobile-friendly websites and sites that use SSL. Moreover, your site’s conversion rate will increase accordingly. W3 Total Cache also improves web server performance, which can sustain high traffic periods. This is a premium add-on, and it’s perfectly compatible with WP Engine hosting service. As you’ve always been knowing, WP Engine disallows caching plugins, because WP Engine had already taken that role. However, WP Engine has announced their co-operation with WP Rocket to be their caching plugin partner. WP Rocket provides multiple premium features such as page caching and cache preloading. Also, it can compress static files and load images only on request, improving site loading time. Besides, WP Rocket is developer-friendly, which can be configured and modified easily. Just one click and your site will run faster like a cheetah. Yoast SEO is one of the most popular WordPress Site Optimization plugins in SEO for WordPress at the moment. About more than 5 millions active installs, this one has proven its power. Indeed, it’s easy to setup and easy to use. After installation, in every post and page it will display a traffic light to indicate your site is good (green), average (yellow) or bad (red). Moreover, it shows you what’s wrong with your content and how to fix it. Besides, Yoast SEO even helps you in writing contents as it forces you to stay with the focus keyword and improve your site’s readability. Also, at Post and Page dashboard, there are also traffic lights to show each post so you can see which one was bad and go in to improve them. Yoast SEO is lightweight, powerful and convenient. This is the most reliable choice. Live up by its name, this plugin will boost your images up in search engine results like Google or Bing. How does it do it? SEO Optimized Images will dynamically insert SEO Friendly alt attributes to your images in an automatical way. You simply have to choose what to insert and click OK, then your images will be SEOptimized. Thus, search engines will be easier to find your images. Additionally, the plugin dynamically replaces the alt tags, title tags and does not make changes to the database. So if you deactivate the plugin, everything will be back to as it was. Next, in our WordPress Site Optimization Plugins list, we have Google XML Sitemaps. This plugin will greatly improve your site’s SEO by creating special XML sitemaps. These ones will help search engines like Google, Bing and Yahoo to index your site better. Besides, crawlers will be easier to see the complete structure of your site and retrieve data very quickly. And more, it supports all kinds of WordPress generated pages and custom URLs. Google XML Sitemaps also notifies all major search engine everytime you create a post with new contents. How convenient! Also, this plugin has lived for 9 years and still been living. Consider this one is a very trustworthy plugin. The Premium SEO Pack for WordPress is the ultimate tool for optimizing your website for today’s search engines. This one is a premium add-on available on Envato’s Code Canyon. Premium SEO Pack contains all the features that you would expect to find in dozens of different WordPress plugins, plus it includes unique features that you just cannot find anywhere else. 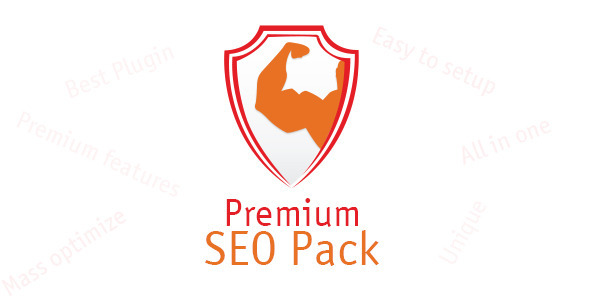 There are so many features of Premium SEO Pack. For example, On-page Optimization, SERP Tracking, Sitemaps, Google analytics, Title and Meta optimized, Link builder, Validator, and more! Check out there landing page for better knowledge and witness its power. OptinMonster is another premium plugin. This is a Powerful Conversion Optimization Toolkit to Grow Your Email List and Boost Sales! 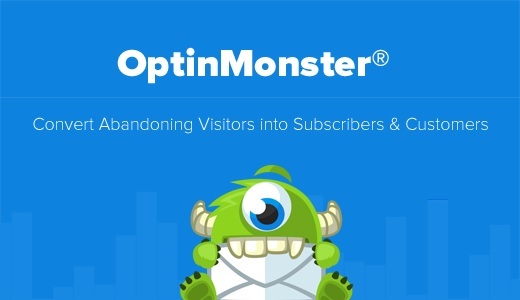 OptinMonster can convert abandoning website users into subscribers and fill your list with email addresses. Furthermore, it offers on-site targeting, custom display rules and dynamic text replacement. It make your site become more creative and attract more people, reduce cart abandonment and increase your sales. 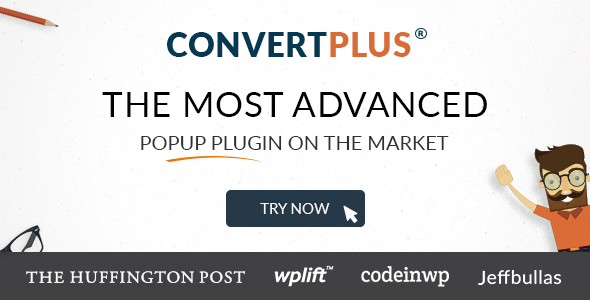 Convert Plus is the ultimate plugin for pop-up, banner, modal, slide in for WordPress. It’s easy to install, easy to create elements and creatively push them on site. This will attract many people to become subscribers and grow your email list. It also connects with MailChimp, multiple marketing mail system, integrations, and custom CSS forms to retrieve emails in multiple ways. Thus, you can easily send email campaigns and set up auto responder for your email list. This will improve your conversion rates and help you easily spread out your sites to all other people. With Bloom, you will gain more email subscribers. It’s also a modal popup and ads banner plugin for WordPress. 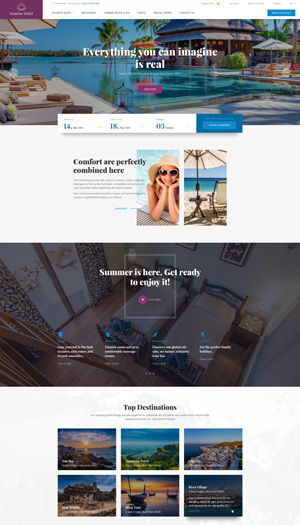 It can offer highly targeted contents and elegant design options. Thus, more people, more email lists. Moreover, Bloom provides multiple different display types. Such as automatic opt-in popup, fly-in, form, widget area form, and more! There are many options and triggers for you to setup and customize. This variety will make your site become a distinctive ad and opt-in system that never be boring or duplicated. It also have 16 marketing integrations including MailChimp. The last in our WordPress Site Optimization Plugins is Thrive Leads. Thrive Leads is a list building solution that aims to push up conversion optimization. Therefore, it will increase your traffic, subscribers and sales. The plugin is easy to use and no coding required. According to the devs, Thrive Leads is updated very regularly and always keep up the pace with any changes. Also, it provides advanced targeting and A/B testing engine, which helping you improve the conversion rate. 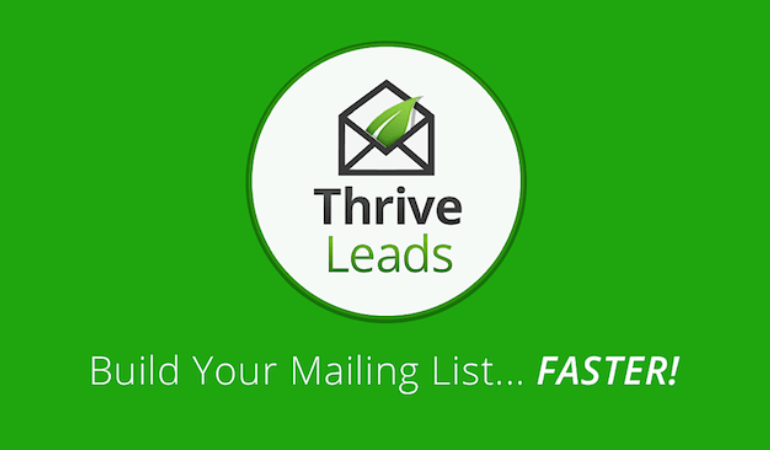 There are so many more awesome features from Thrive Leads, let’s come check them out. People always want to boost their site up in speed. Speed is a critical major for every website. Faster loading means faster experience, better SEO, convenience and comfort. Thus, increasing site speed is compulsory. Therefore, we have many many WordPress Site Optimization Plugins that could help you do that. Listed above are the most highlighted plugins that you should consider trying them. Each takes a specific role and specialized in the best way. But remember not to take it all, a too-big site may have conflicts within and you might not want to see that happen. Happy new year folks. Enjoy the holiday! Good list but W3TC is junk plugin so many bugs. And Thrive leads is very heavy so bad for speed at scale. And you can also disable some WP Core junks use like Speed Demon or other disabler plugin.